Whether you stick to what you know or just haven’t been exposed to different foods, there are some seriously weird foods in the world. Some of them are bugs, parts of an animal you didn’t think could be eaten, and others are from animals you’d never eat. Different countries have different delicacies. What is weird to you is awesome to someone else. And vice versa. Not all of these foods are popular in other countries, some are born and bred right in the US of A. The part that must be mentioned? These foods are super nutritious. They’re full of vitamins, protein, and other ingredients that can save your health. Who knows? They might become your favorite delicacy. This food might be known among the upper echelon of superfoodies, but it’s most likely new to you. 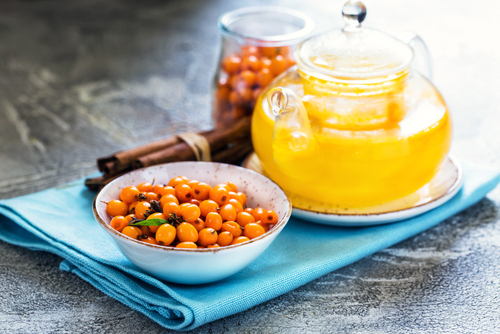 Sea Buckthorn is a group of awesome acidic berries packed with tons of healthy fats, including Omega-7, Vitamin E, Vitamin C, and amino acids. The Vitamin C in Sea Buckthorn is 15 times as much as oranges. These berries are often seen in Chinese medicine and can be used to enhance beauty. Your lady will love these. Sea Buckthorn also makes for a great mixer. Just grab a glass and make a mimosa or enjoy Sea Buckthorn juice. It’s tart and super healthy. 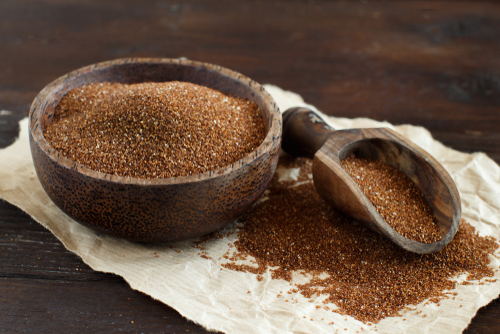 Commonly found in the traditional Ethiopian bread, injera, Teff is a delicious grain. It’s gluten-free, and full of protein, calcium, amino acids, fiber, and iron. The spongy, bread of Ethiopia is a treat and contains a decent amount of Teff. These crazy-looking mushrooms look kind of like a molecule and are super healthy. If you imagine the fingers of an alien, you can picture the Enoki mushrooms. They have very thin bases that end in a small bulbous end. Almost like a mushroom snowflake. To ward off cancer and boost fiber and protein, grab some of these great-tasting mushrooms. You can eat them fresh, dried, or in grilled chicken salads and Thai soup. 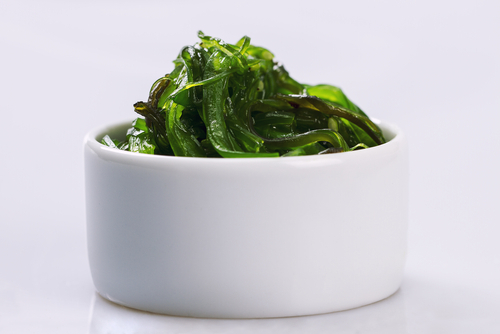 Whether you want these sea vegetables that look like really skinny seaweed in your salads, miso soup, or sushi, kelp is an excellent brown algae. These are full of iodine, Vitamin K, antioxidants, iron, folate, and taste. Salty and a little mossy, it’s a taste you won’t forget. You can buy kelp flakes for your salads and boost it to the max. With certified organic kelp you can lower your cholesterol and reduce inflammation. There are tons of vegetables on land, but the real adventure is under the sea. This geometrically complicated vegetable is a sight to see. It features amazing and precise designs that wrap around each other and seem to go on forever. Each bright green area of this vegetable is like an optical illusion. It looks as if it’s swirling forever in a clockwise, or maybe counterclockwise, direction. But that is not the only amazing thing about romanesco. It’s freaking delicious. You can cook romanesco like cauliflower and it tastes like cauliflower with a slight flavoring of broccoli. You may not believe this, but the spirals per head always add up to a Fibonacci number. Loaded with Vitamin K, C, and antioxidants you’ll get a mouth full of healthy goodness and a brain full of fractal awesomeness. Before whole grains become a thing, wheatberries already existed. These tiny spheres are popular in Middle Eastern dishes and are full of magnesium and Vitamin E. They’re a great substitute for couscous or quinoa and add a nice amount of chewy goodness to fried onions or swiss chard. Lower in carbs than regular spaghetti squash, this vegetable is easily prepared. After roasting the entire squash at 375 degrees just scrape the strings out with a fork for veggie pasta. With 2g of fiber per cup, Vitamins A and C, and potassium, spaghetti squash is vegetable with its own noodles. For a healthy snack, roast the seeds. They’re amazing. More commonly known as red beans, Azuki beans are often found in vegetarian chili and can be made into an amazing ice cream. Featured heavily in Chinese deserts, these beans will satisfy your sweet tooth. They’re packed with zinc, magnesium, iron, and potassium. With one cup of folic acid providing almost 70% of your needed amount for each day, these beans may become a regular in your kitchen. These superfoods are a great blend of different food types. From beans to vegetables to shrooms, they can make your health skyrocket. There are tons of recipes online that can be used to make amazing dishes and place these foods in a prominent place in your life. While you eat, you can exercise your brain trying to figure out the Fibonacci numbers of the Romanesco or learn about the sea through the kelp. Whatever you decide to try, all of these foods will fill your body with the needed nutrients and vitamins to keep you healthy for a lot of years to come. You’ll feel more energized and more likely to get off the medications you may be on. Pair these superfoods with water or another low-intensity drink and effortlessly lower your cholesterol, build strong bones, and watch as your lady becomes even more beautiful than she already is. Many of these can be turned into juices and consumed throughout the day for an added boost. Now that you’ve found these foods you may be wondering what other odd foods are out there. Well, rest assured, there are many, waiting for you to discover them and improve your life even more.